We want you to meet some of the incredible people who contribute their time, expertise, skills, and enthusiasm to making Nurturing Marriage a better experience for YOU. I was a young adolescent when I began to notice the difference between couples that simply have a life together and couples that live and love life together. For years I've been intrigued by the small and simple things that can be done each day to sustain, love, and strengthen a marriage. I studied at Brigham Young University where I received my bachelor degrees in Spanish and Family Studies, and focused on couple rituals and language acquisition in the home. I'm a lover of traveling, beautiful vistas, ice cream, bachata, running, swimming, cycling, dancing, baking, long-boarding, hiking, learning, my pup #rockythesilverlab, and being a newlywed to my sweet Patrick. I'm thrilled to be welcomed onto the team and to hear your brilliant ideas for strengthening marriage on the "Facebook Conversations" page. Founded in 1979, the RELATE Institute is a non-profit organization with the specific tasks of developing research and outreach tools that can be used directly with the public. The consortium consists of a group of scholars, researchers, family life educators, and counselors from varied religious and educational backgrounds who are dedicated to strengthening and understanding premarital and marital relationships. The Gottman Institute provides practical tips and tools to strengthen relationships based on 40 years of breakthrough research with thousands of couples. Click here to join our mailing list and we’ll send you a free copy of the popular guide, 7 Signs Your Relationship Will Last. My name is Amy and I'm a wife of over 13 years, mom of three awesome kids, and founder of My Income Journey. I am passionate about helping people take control of their finances by saving money, making money, and still being able to be home as a family. I believe in couples working together to make their financial situation a source of strength and unity. When I'm not blogging about finance, I am running an Etsy shop, selling stock photography, teaching piano lessons, or tutoring math. But my favorite way to spend my time is at home with husband and kids, eating chocolate ice cream, and playing games together. I grew up in Atlanta, Georgia, and loved reading cheesy romance novels and dreaming of my own happily ever after. My husband and I were married in 2015, and I graduated from Brigham Young University with a bachelor’s degree in English language just five months later. I have written and edited articles for mormoninsights.org, Stowaway magazine, and the New Era magazine, and I am excited to continue writing and blogging with nurturingmarriage.org. I love dancing, doing yoga, going running with my husband, and trying to cook with new recipes every week. My husband is still studying at BYU, and while we’re experiencing the married student life, life is happier than any fairytale I could have come up with all those years ago as a young Southerner with my head in the clouds. Love is what makes life worth living. It is exhilarating to experience the joy of marriage in my own life, and it’s almost as special to see it in other’s lives. Lucky for me, I get to experience that joy on a regular basis as a wedding photographer. It’s such a special day, and I’m so blessed to be part of it. I’ve been married now for almost 11 years to my wife Ashley, and we have three wonderful children: Holden, Juliet, and Oliver. They have all taught me many lessons about life and marriage, and I can’t wait to share them. I truly hope my words and experiences can help others build a long lasting, happy marriage. Ryan Eggett received his bachelor and masters degrees in Music Ed. from Brigham Young University. He received his PhD at the University of Utah in Educational Psychology. He teaches religion classes at the Orem University Institute, where he also directs the Orem Institute Singers. Ryan also directs Provo Missionary Training Center Choir, the Utah Valley Children’s choir, and the Lex de Azevedo Millennium choir. Ryan and his wife, Angie, have six children, four girls and two boys. 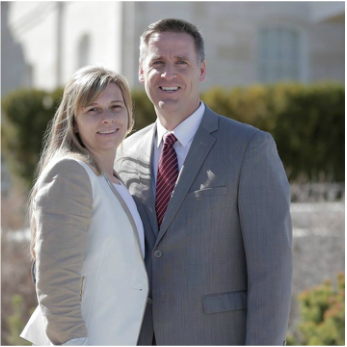 The Eggett’s are active members of The Church of Jesus Christ of Latter-day Saints. Understanding relationships has always been a huge interest for me but it grew stronger through experiences in my dating years when I realized how important and serious marriage is. After finding and marrying my loving husband in 2013, I started the Freshly Married blog to provide a resource that strengthened marriages by learning from my own experiences. I took this passion to UVU where I earned my Bachelor's degree in Family Studies to become a relationship educator. I believe marriage is the most important relationship we will ever have and will need to keep strong! That is why I do what I do, and why Nurturing Marriage does what they do! I love having these platforms to help us relate to each other as couples, and learn something that can help freshen up our own marriages. When I’m not blogging advice for marriages, I’m usually watching fascinating reality television, crafting something up, and drinking Dr. Pepper. I love enjoying the simple things in life with my husband like movies, restaurants, music, games, and road trips. 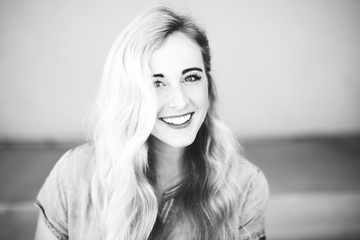 Ashley Swenson was born and raised in Sandy, Utah. She is the youngest of 6 kids. She enjoys being outdoors, hunting, fishing, horseback riding, and hiking. Above all, she loves spending time with her husband, Taylor. She is expecting her first baby this year. My name is Crystal Bradshaw and I'm a Licensed Professional Counselor in the state of Georgia, a Nationally Certified Counselor, a certified 7 Principles of Marriage Educator through the Gottman Institute, and I am trained in the Gottman method for couples therapy. I own a private counseling practice in North Metro Atlanta, Georgia, where I work primarily with couples seeking to reconnect, enrich their relationship, improve communication, overcome intimacy/desire discrepancy issues, and affair recovery. I have been in practice for over 7 years. My case load is made up of premarital couples, newlyweds, and couples married 28+ years. I am a wife to a talented, smart, and equally handsome husband of 6 years. We have two children, whom we can never get enough of (they go to bed and then we continue to watch videos of them on our phones). Since we've been married, we have lived in 7 different places, which I think gives me a unique perspective on life and the people in it. As for credentials, I have a B.S. in Marriage and Family Studies and I blog for a mental health facility, Lifeline Connections. I love to learn, read, research, and try new things in each new city I live in. I am excited to write for Nurturing Marriage, because in all of my learning and training, I know that marriage will be the one true joy that stands at the end of it all- which is why I want to bring you some ideas and perspective on how to work hard to make it awesome! Leslie Pelon is a born and bred California girl, currently having a Maine adventure. She has been married to her husband David since 2010 and they have two children, a boy and a girl. 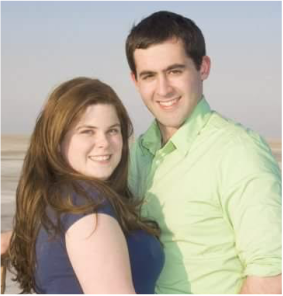 Leslie graduated from Brigham Young University in 2010 with a degree in history and is currently working from home for a appraisal company while David attends Pharmacy school. She has learned about how to make a marriage work the old fashioned way; with trial, error, and a sense of humor. She enjoys musicals, books, a good movie, and chatting with friends for hours. Welcome! I'm Tycie! When I'm not chasing two little boys or doing the marriage thing with my hubby, I use my degree in Marriage and Family Studies to write about relationships, love, and human connection. I hope you stay awhile and learn something that can help you improve the relationships in your life! My name is Hava and I'm a Jesus follower, husband lover, full-time mother and a friend supporter. I have 3 boys and have been married for 11 years! I blog at www.onlygirl4boyz.com where I share tips on motherhood, homemaking, recipes, relationships, and also help you save some big bucks! I blog to help women make their lives easier & more joyful in the midst of the daily chaos. We are Cassandra & Marc. Many years ago we said “I will,” to each other. For our wedding day we did not hire a professional wedding photographer. After a while, we realized that this was not a great decision. We would have loved to have a photo collection to share with our children, our friends and our family. So we know first-hand how valuable wedding photos are. Not only for our Brides and Grooms but especially for their loved ones. Wedding photos are a lifetime investment. It is with this in mind that we photograph each and every wedding, always giving our 100% in capturing meaningful story-telling moments. I’ve spent the majority of my life in Memphis, Tennessee, which is where I met my wonderful husband… when I was twelve! We’re high school sweethearts with a solid foundation of friendship and have experienced so much of life together over the last sixteen years. I attended Western Illinois University where I graduated with a degree in Liberal Arts & Sciences with a minor in psychology. My husband and I have been married since May 2011 and it’s been a busy five years. We brought baby number one into the world nine months to the day of our wedding, baby number two came along two years ago, and baby number three will be here this fall! I’m a happy homemaker trying my best to cherish these young years with my children while attempting to keep my sanity intact. I really enjoy connecting with other parents and married couples, all things Disney, having regular date nights with my husband, blogging, and I’m very enthusiastic about my morning cup of coffee. As a little 12 year old girl, I can remember searching through all our family's bookshelves to find just the right book, after all, I had just declared to myself that I was finally going to become a real "reader." My very first self-chosen title was something like "Creating an Eternal Marriage!" I had always dreamed of finding my very best friend and continually searched to learn how to create a happy, healthy marriage. In college I, not surprisingly, got my degree in Marriage & Family Studies. My husband is finishing up dental school while I juggle the joys and crazies of caring for our four kids and teaching Let's Play Music. I love art history, exploring interesting and unique local attractions, playing the guitar, singing, eating Oreos daily, and my travels to Ireland & France last year. I began my blog BusyBliss hoping to inspire wives and mothers in these most challenging, and most beautiful, important relationships we have! I am excited to share some research and discoveries with you on this inspiring Nurturing Marriage site! Cathy is a full-time homemaker and mother of four young children. When she isn't chasing her kids around the house, she enjoys reading, watching BBC movies, and eating ice cream (come back, Blue Bell!). She has been happily married to her handsome husband for eight great years. We are a married couple who each have PhDs in Marriage and Family Therapy. Even with all of our education, we do not have a perfect marriage. We strongly believe that the purpose of marriage is not to make us happy, but to challenge us to grow into better people. Our favorite hobbies are any activity with our two beautiful children, discovering new favorite restaurants, and spending time outdoors. Our combined professional experience includes residential adolescent addiction, school-based therapy, community mental health, teaching, research, public speaking, professional consultation, missionary fieldwork, youth ministry, and administrative positions in a juvenile drug court, a marriage and family therapy clinic, and a residential treatment center. We both have a passion for teaching family systems theory and helping individuals, couples, and families live healthier lives. Please check out our blog and connect with us on social media to learn more. I'm a born & raised Boston wedding photographer. Being entirely self taught, I started shooting weddings in high school. As I've grown up, my passion for photography has also grown. The unique personality and love of each couple I photograph inspires me on a daily basis. There aren't many moments in life that can top the memories created during a wedding - which is why I'm thrilled to share my skills and enthusiasm to help couples remember their amazing occasion forever. I love producing images that are fresh, vibrant, and most importantly, FUN! As long as I can remember, I’ve been fascinated by love. I started combining it with my other fascination, writing, and before long I had become a total research nerd in all things romance and marriage. My husband, Den, and I are in business together. Over the years, we’ve co-founded a number of companies that give couples practical tools they can use for improving their relationships. My favorite (and our latest) is Melt: Massage for Couples, where we teach couples how to give amazing massages via streaming online video. It makes such a difference in people’s lives and is a great way for couples to reconnect intimately on a regular basis. Plus, who doesn’t love a good massage? When I’m not writing, I’m usually finding, making, or eating good food or seeking out great coffee. I do yoga regularly and I read anything I can get my hands on. I love to take long walks and go on crazy-fun dates with my husband. Interested in becoming a contributor? Learn more here.